Meme took this salsa recipe to a whole notha level by making it gluten free and white sugar free! 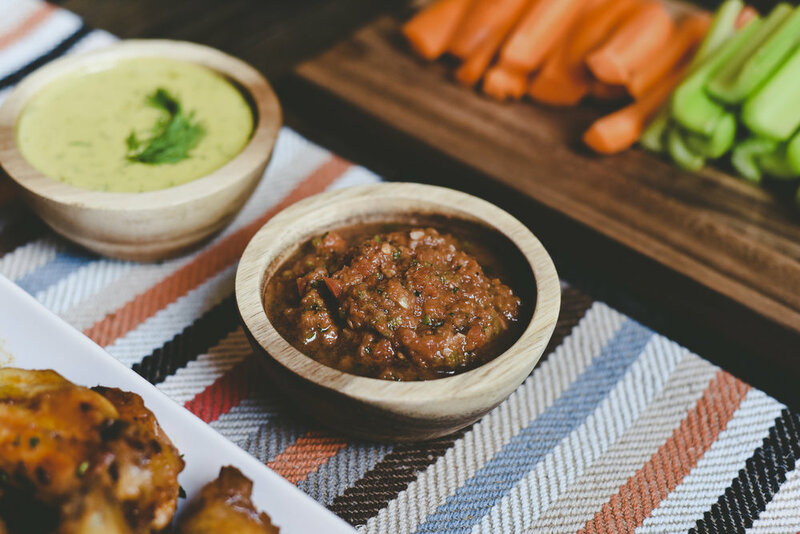 Anyone can make salsa, but not everyone wants to... this recipe will give you enough for a couple nights and then plenty to freeze. Homemade salsa tastes so good. In a food processor blend together the jalapenos, salt, pepper, lemon juice, tamari, oregano, palm sugar, olive oil, and white wine vinegar. We like our salsa chunky, you can control consistency by blending more or less. We use a 12 cup kitchenaid food processor that holds this recipe nicely. Use what you got, if you have a blender you can use that as well, just blend until you get the consistency you are looking for.